Oh my gosh people are reading my story? This is the first time ever for me! I know my Grammer isn&apos;t the best and my chapters are short. But I&apos;m doing my best. Please feel free to leave comments! I would love that! Now enjoy chapter five!!! "so that&apos;s pretty much how I ended up with the brothers living here. It&apos;s only temporary while Splinter fixes the lair." April explained to Kelly while Becca munches in some cheese pizza with the brothers. Becca noticed something and got up curious. Leo and the brothers glanced over wondering what she was seeing. Becca opened a cardboard and blinked seeing a bunch of different stones. She picked up a blue one that matched Leo&apos;s dark blue mask. "April?" April looked over and chuckled. She walked over. "seems you found my stone collection." The brothers got up and raced over as curiosity took over. April took out five stones. One was the one Becca was holding. Another was orange, purple and red. Than the last one was pink. "hey they match our masks!!" mikey pointed out grinning. "yep they do Mikey! 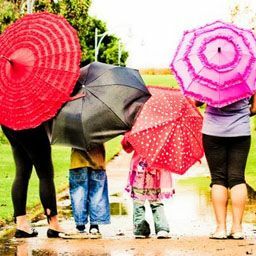 I saw them and kept them to remember you guys." April blushed a little and chuckled. "what about that pink one?" Becca asked about to touch it. But it was too late. Becca touch it. There was a pop as light flew out. "duck!!" Becca yelled. Everyone ducked as the strange light bonced off the walls. It banged over Leo&apos;s head. Than Becca&apos;s and landed onto the blue stone. Both stones glowed slightly than dimmed. Becca stood up as everyone else did. Kelly raced over and checked her over. "are you okay Bunny?!" She asked worried. Kelly turned smiling at the brothers. "her nickname is Bunny  because she&apos;s cute as a bunny!" 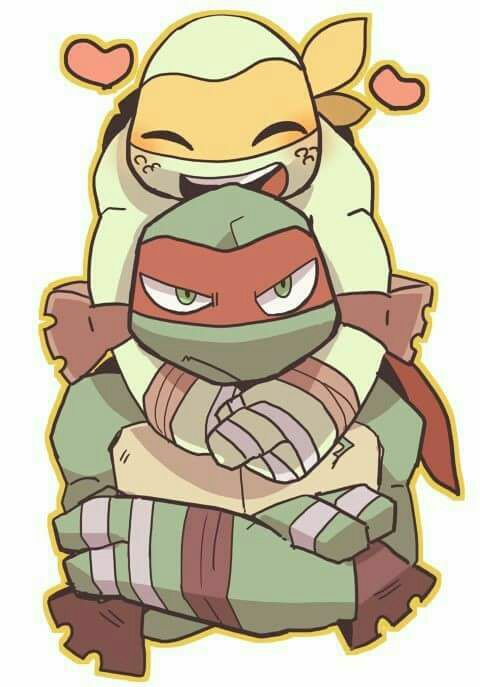 Raph,Mikey and Donnie chuckled quietly. Leo looked in thought. *She is rather cute as a bunny...* He blushed a little at his thought and looked away clearing his throat a little. His brothers turned to him confused. "Uhhh perhaps we should Uh go on patrol now..." Leo suggested. "yay more patrol!! Can we go out the front door this time?!" mikey asked excited. "mikey we can&apos;t someone else can see us!" Ralph snapped and headed upstairs. Mike pouted and hurried after him. Donnie went to the stairs and looked back at Leo who was spaced out. "hey Leo you coming?" 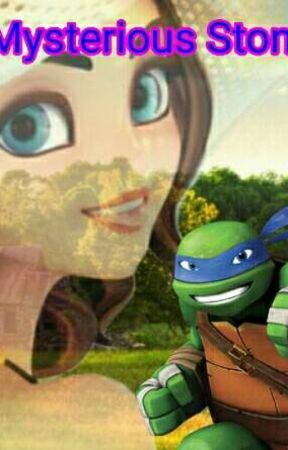 Leo blinked and looked over at Donnie. "Uhhh yah right! I&apos;ll be right upstairs!!" Donnie nodded and went upstairs. Leo froze and looked down at her with his sapphire light blue eyes. She smiled. "good luck with your patrol!" Leo blushed a little. "Uhhh yah I will!!" he turned and hurried upstairs not sure what was wrong with him. Becca watched him go and giggled. He was kinda cute. They all were. She turned and started to put the stones away but blinked. She looked around seeing April was in the living room with her mother. She grabbed the blue and pink stones. She slipped them in her pocket not knowing they glowed when they touched. She put the rest away and hurried to the living room to take over the TV.